The summer is quickly coming to an end, and with it will end our summer special of 50% off Certified ScrumMaster training or only $995.00 CAD. Our special offer is still available for the next 25 people to register and pay, but that offer ends on September 21. Check out our course listing page – every CSM course we have scheduled in Canada is available at this fantastic price (Toronto, Edmonton, Ottawa). Even without the discount, our course is a better value than many out there. It’s a three day course instead of the normal two. This gives you a chance to really dig into the concepts and practices of Scrum and Agile Project Management. Our course is especially designed for project managers, team leads and aspiring leaders. This course is a perfect way to help you expand your knowledge and skills in a practical and effective way. Our list of scheduled courses is here. Do not miss this great deal. We’ve been asked, why don’t we bounce around offering courses in other cities like other Scrum Trainers? The simple answer is because we live here in Canada, and we offer courses in locations where we can support you and your organization after the training course is over. Trainers who parachute in from south of the border don’t do that. 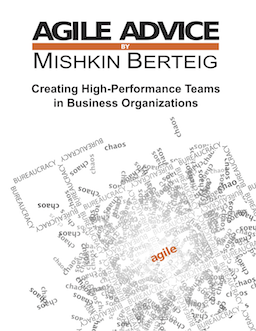 We are committed to helping you get the most out of Agile in your organization. Give Berteig Consulting a call and let us show you the quality consulting and coaching services we provide. We are pleased to announce a new seminar: CSPO – Certified Scrum Product Owner. We have found in our coaching assignments with our various customers that they were struggling to find qualified and well trained Product Owners. Therefore we are offering this new seminar. During this seminar we will train the participant how to do the fundamental tasks of the Product Owner in the Scrum environment. The attendees will learn how to develop a comprehensive Product Backlog, competently add value to the Scrum team during the Sprint, fully understand how Scrum works and their role within it. With a maximum class size of five people, this seminar is designed to allow participants to dig deep into the role of the Product Owner. The first day will be an introduction to Scrum slanted towards the role of the Product Owner. The second day will be an in-depth look at this role. Our first CSPO seminar will take place soon. Please refer to our website http://www.berteigconsulting.com/CSPOCourseDescription to reserve space for yourself or others on your team.